The Gear S3 has been unveiled in the usual extravagant fashion, and even put up for pre-order with Canada as well as the US, among other countries, but the smartwatch that is likely to shake up the smartwatch market this season is just getting off the ground in terms of a global release. 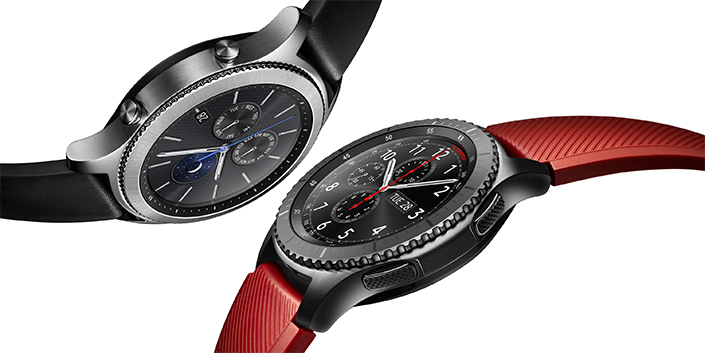 Korean giant Samsung Electronics, after bringing the Gear S3 Frontier and Classic to Korea, has announced a global release for the Gear S3 Frontier and Gear S3 Classic in places such as the US, Germany, France, Dubai, Australia, Singapore, and the UK. While Korea, Samsung's home country, gets the Gear S3 smartwatches first, other countries (those above in particular) can expect a rollout of Samsung's latest wrist wearables on Friday, November 18th. The Gear S3 specs have been talked about over and over, but the Gear S3 Frontier and Classic aren't necessarily about groundbreaking specs. The IP68 water and dust resistance existed on the Gear S2, and the AMOLED display has been slightly widened from 1.2 inches to 1.3 inches, but the RAM for the devices has been increased (512MB to 768MB) and comes with built-in GPS, S Health, an altimeter/barometer, and speedometer to track speed of exercise, distance, location, and changes in atmospheric pressure and weather. Above all these, the Gear S3 Frontier and Gear S3 Classic both feature Samsung Pay out of the box. Samsung said the Gear S2 would receive its mobile payments system, and the company is keeping is word with the latest Gear S2 Beta Program announced in August. For Gear S3 buyers, though, it should work out of the box. Samsung Pay only works for Singapore, Australia, and US owners at the moment, though. Well, what do you think of the Gear S3? Excited about Samsung Pay coming to the Gear smartwatch lineup? Planning to pick up the Gear S3? If so, which one: the Frontier or Classic? Why?